Freestyle motocross phenom Ronnie Renner shows off what makes him a world class dirt bike rider in the latest video from GoPro. 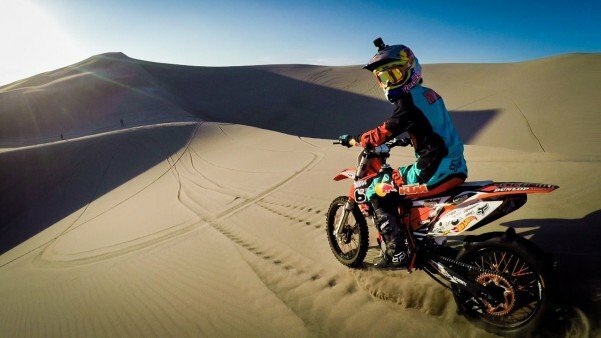 Featuring a trip to Idaho Dunes, also known as St. Anthony’s Sand Dunes, Renner shreds on this shifting landscape giving viewers a birds eye view of the action. Renner makes riding on soft sand and taking flight over giant sections look easy, even though for many riders this sort of terrain can be challenging. For tips on riding and preparing for a trip to the sand dunes click here. next articleHow Concerned Should You Be About Zika Virus?